Australia's oldest boer goat stud. Meeting the world wide demand for elite sheep, goats and cattle genetics. Amahle Australia are breeders of stud and commercial Boert Goats. Amahle Australia is Located in Numurkah in the Murray Valley of Northern Victoria. 21/01/13 - Amahle Australia breed fullblood stud and commercial boer goats and currently are in the process of transitioning to a year round breeding. 06/08/08 - Terraweena Boer Goat Stud has been involved in supplying goat meat within Australia and overseas for more than 20 years. 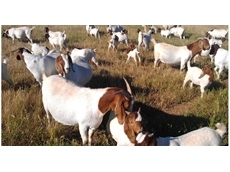 Terraweena Boer Goat Stud an experienced goat exporter in Australia. 05/08/08 - Terraweena Boer Goat Stud, during its selection and culling process, completely neglects animals with undesirable traits like poor pigmentation and unsound legs. 04/08/08 - Terraweena Boer Goat Stud is a part of Australian Breeding Services (ABS). Australian Breeding Services was established in 1988. The main aim of Australian Breeding Services (ABS) was to introduce Boer goats all over the world.